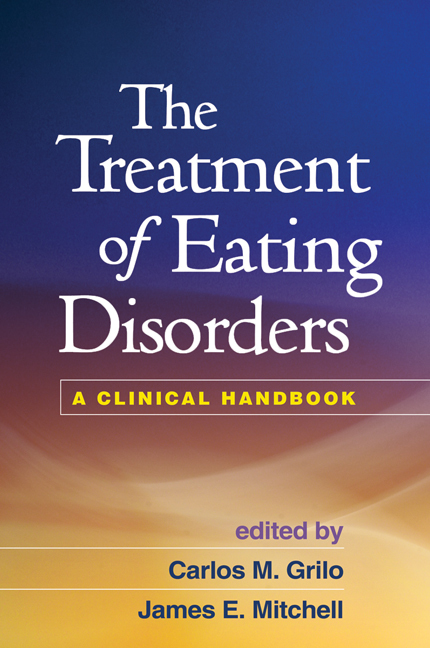 Eminently practical and authoritative, this comprehensive clinical handbook brings together leading international experts on eating disorders to describe the most effective treatments and how to implement them. Coverage encompasses psychosocial, family-based, medical, and nutritional therapies for anorexia nervosa, bulimia nervosa, binge-eating disorder, and other eating disorders and disturbances. Especially noteworthy are "mini-manuals" that present the nuts and bolts of 11 of the treatment approaches, complete with reproducible handouts and forms. The volume also provides an overview of assessment, treatment planning, and medical management issues. Special topics include psychiatric comorbidities, involuntary treatment, support for caregivers, childhood eating disorders, and new directions in treatment research and evaluation.